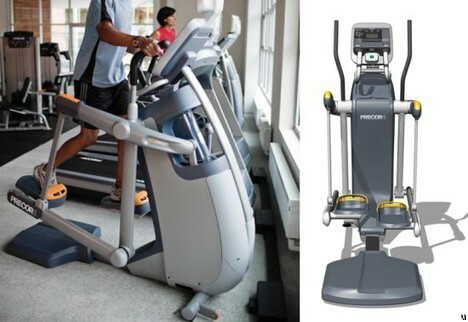 Save Big Money with Total Body Experts on the cutting edge Precor AMT 100i elliptical! 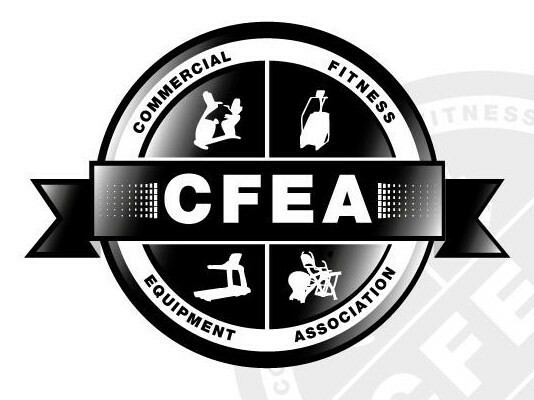 We get in brand new demo's all the time so please ask about availibility and pricing if interested. These are remarkable machines for a long list of reasons. 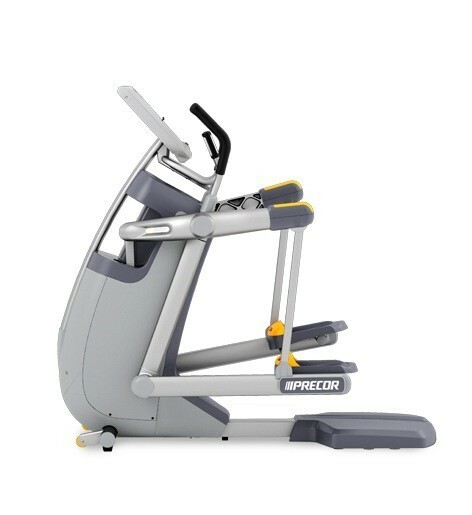 As versatile as the Human Body, the Adaptive Motion Trainer™ (AMT) from Precor enables users to naturally and instantly adjust stride length from 0-27” without the necessity of pushing buttons or controlling settings, providing a completely unique and challenging cardiovascular workout. The AMT100i adapts and adjusts to the users’ natural path of motion, incorporating contralateral pushing and pulling arm movements that provide the ultimate total-body workout, with patented horizontal and vertical dual-plane resistance that add another dimension of customizability to the workout. 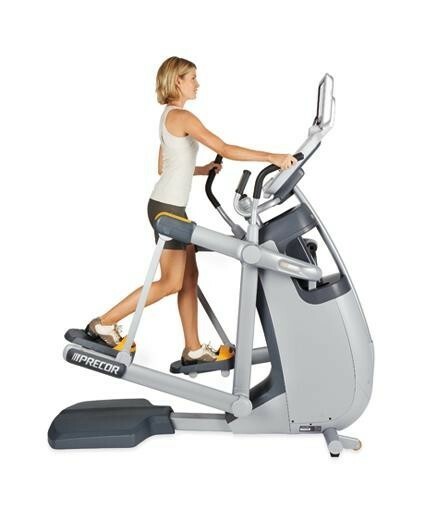 On the Certified Pre-Owned Precor AMT100i users can instantly move from short strides comparable to walking, to mid-range strides such as those used when jogging, to long strides that simulate long distance running, to deep lunges similar to stair climbing, or any combination of these movements the imagination can conjure. A Stride Dial™ educates and motivates users by tracking and displaying the users’ motions in real time, which provides instant feedback on how the engaged muscles respond to different movement patterns. 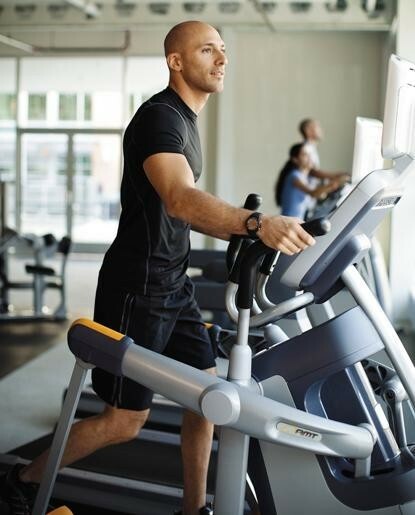 A bio-feedback center with SmartRate® provides encouraging statistics on the users’ actual heart rate in relation to the target zone for weight loss and cardiovascular training goals, and the tap control numeric keypad makes data entry and optional Cardio Theater® personal viewing screen control simple and easy. Five pre-set programs, including a QuickStart™ option, can be changed on the fly without losing data, and a durable 3-phase generator reduces friction and wear and provides 20 levels of resistance. 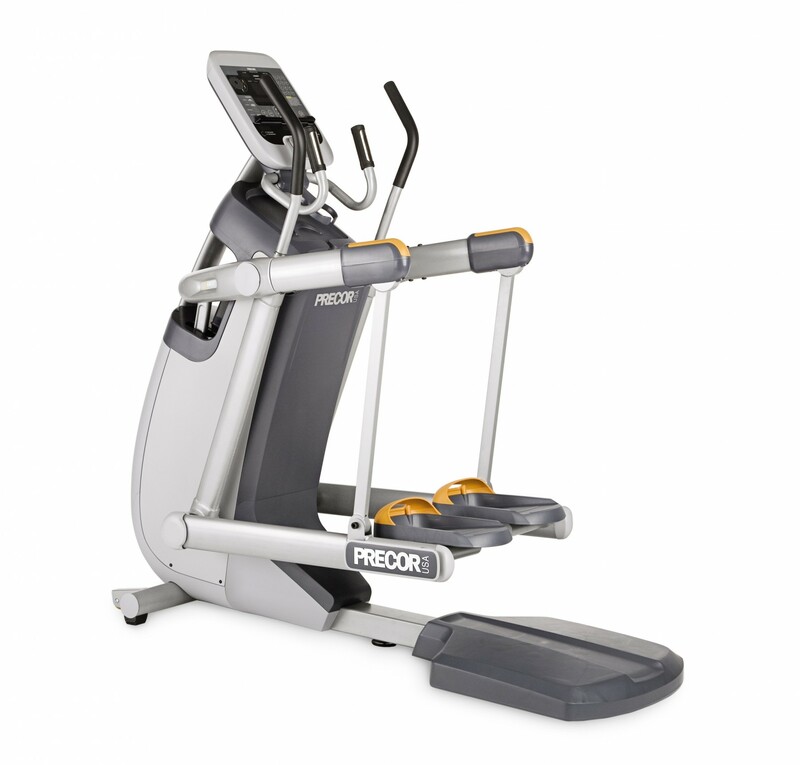 The self-powered convenience and small footprint of the Precor AMT100i enable seamless integration into any home or facility. Dimensions: 74" x 28" x 69"
Footplates: Height adaptable from 5.5" - 18.5"